Growing up, my favorite time of year was Back to School! It meant a new haircut, new clothes, new shoes, a new backpack, notebooks with matching pencil pouches filled with freshly sharpened pencils, and more. But it also meant butterflies in my stomach, wondering who my teacher would be. Will my best friend and I be in the same class? Who I will sit next to at lunch? And it also meant a few difficult mornings adjusting to waking up early again in order to get to school on time. Transitioning from summer vacation back into the school/work routine can be overwhelming for us all. No matter how prepared you might feel, change can bring up feelings of excitement and worry, and that can lead to stress. As parents and caregivers, nothing sets the tone of this process more than our own feelings of anxiety and preparedness. Here are a few self-care tips to address and process your own emotions in order to help reduce your family’s back-to-school “Anticipatory Anxiety”. Talk about your own feelings of excitement and worry. Now is the perfect time for some disclosure with your children. They love to hear how you survived your childhood and the questions you may have had before school started for you. Dig out any old First Day of School pictures to share­­——bonus points if you are the same or similar age as your kids. After they laugh at your outfit and hairstyle, talk about what it felt like entering a new classroom, those first few mornings, or how you may have handled recess and lunch. Normalizing your children’s feelings will help reduce any judgement they might be feeling about the complex emotions they might be experiencing. It is normal to feel both excited and nervous about the first days of school. Be mindful of your own stress levels and how that impacts your child. By modeling your own stress reduction and mindfulness, you are helping your child manage their own as well. Make a plan for back-to-school shopping. There are two kinds of people in this world–those who will read this heading and cringe and those that will have visions of dancing through the aisles of Target with glee. Which one are you? Which one is your kid? For some, back-to-school shopping can be magical and a fabulous way to bond with your little one. However, if you, or your kid, find the process of back-to-school shopping overwhelming, try to do the bulk of your shopping online. Order a few different options and have a fashion show in the comfort of your own home. 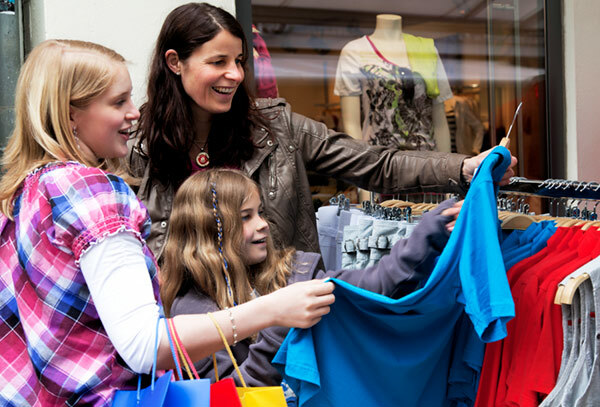 Have your kid try everything on with enough time to exchange or return the items that do not work. Anticipate shifts in the schedule. Usually around a month or a couple of weeks before school starts you will start to get information about after-school activities. To the best of your ability, plan these decisions ahead of time and include your child and all caregivers, carpool drivers and others in the process so that they are as equally excited and will know what to expect. Discuss options and write everything down on a large calendar somewhere in a public space in your home. Color-code the schedule if that helps identify different family members’ activities and makes you happy! While many of us depend on our electronic devices for our scheduling, having a visual reminder in a central location in the home is a good way for everyone to know what to expect on which day of the week, especially if your child does not have his or her own device yet. If your child is transitioning to a new school or if this is a milestone year such as first year of kindergarten, middle school or high school, it might be helpful to wait until the second quarter of school to begin any new extracurricular activities, if possible, in order to help your child, and you, ease into the new routine before adding anything extra after a long day. Even though you may have been waiting all summer break to drop your kids back at school, it is helpful not to schedule anything for yourself too early after drop-off in those first few weeks of transition, in order to reduce your own stress levels. This way you can be present in case your child might need some extra cuddles before school starts and still make a 10:00 am Soul Cycle class or a work. Prepare for new morning routines. The most stressful time of day for many families is the early morning routine. Start early! If you can, try to give your family enough time to unwind after a family trip, shake off any jet lag, and start getting to bed a little earlier every night until you are all eased back in to your school schedule. Kids typically require 10 – 12 hours of sleep to be able to function at their best, so start helping them adjust by setting healthy bedtime routines before school starts. This means you, too, parents and caregivers! Put away those electronics at least one hour before bedtime, save Netflix binging for the weekends, and make sure you also get enough rest. This will ensure that you are energized and ready to take on this transition with a full tank. In addition, plan healthy breakfasts ahead of time, or have some ready-to-plate or grab-and-go options available for those first few weeks to ensure a quick morning process. Together with your kids, make lunches and lay out all clothing and back-to-school essentials the night before to try and avoid any early-morning power struggles and empower your child to make these decisions for themselves. How will the kids be waking up? Do they have their own alarm clocks? What time does everyone have to be out the door? Who is getting them to school? Discussing the morning routine with your kids ahead of time helps them know what to expect and also understand which areas of their self-care they are responsible for. You know your kids best–—how long does it take for them to go through their morning process? It might take a few days for everyone to get out of the door on time, but be patient, and allow enough time for everyone in the family to get both their physical and emotional needs met in a timely fashion. If your child is entering a new school, be sure to read all incoming mail (email as well as snail mail) and try to attend all back-to-school informational meetings and campus visits. This will reduce many of the questions and concerns that you and your child might have. Learn the campus layout–—find the bathrooms, classrooms, and where drop-off and pick-up occur. Find “the helpers”, from the front office staff, to school nurses, counselors, and others. It will help your child to know who they can turn to in case they need some extra support, in the form of information, a band-aid, or some quiet time to decompress. Reach out to your children’s teachers and give them any information that you might think helpful. Have there been any major transitions in the home such as a move, job gain or loss, divorce, the birth of a new sibling or a death in the family? Sharing this information can help a teacher understand your child better and know how to best support them through another transition like the start of school. Reconnecting with peers is also a wonderful way to assist in reducing the social anxiety of entering a new school year. Arrange for play dates or get together with other students and parents who will be attending the same school. If you feel that your or your child’s anticipatory anxiety is more than usual at a time of transition, reach out to us here at JFCS’ Parents Place. Attend a workshop, schedule a parent education meeting, or schedule an assessment with one of our Child and Adolescent Specialists in our Children’s Clinical Department who can meet with your family to discuss how to best prepare for the coming year and provide support and coping skills for you and your little one so you can all transition back to school in the best way possible. Havi Wolfson Hall, LCSW is one of our Child and Adolescent Specialists in JFCS’s Children’s Clinical Services Department. Havi has a Master’s degree from Hebrew Union College in Jewish Communal Service and an MSW from The USC School of Social Work. She has worked as a psychotherapist since 2000 and was previously at Jewish Family Services in Los Angeles before moving to the Bay Area in 2010. In addition to helping her individual clients in areas such as anxiety, depression, and self-regulation, she also helps families and provides workshops in the community on the ever evolving issues regarding our relationship with technology and how to better balance our lives online and offline.